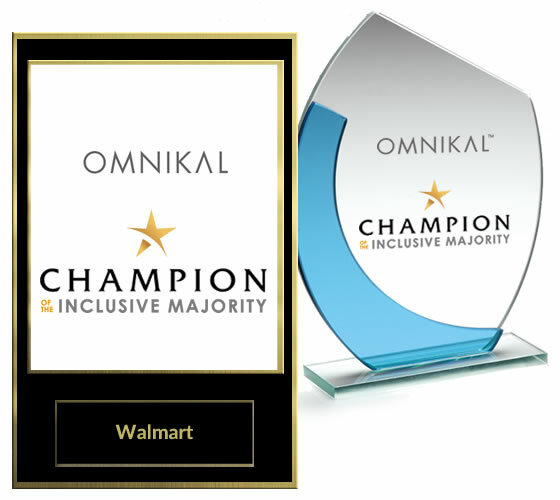 The “Champions of the Inclusive Majority” award is presented annually to individuals in recognition for their creative and innovative strategies that are in place to promote and advance the concept and spirit of inclusion of all peoples. Established in 2016, the award represents individuals who have demonstrated a commitment to solutions in inclusion issues on a local, global and “national” scale. The honorees have made a significant impact on issues in education, procurement, housing & employment. These unsung champions have quietly made a difference in the lives of people by positively impacting their lives, and improving the economic conditions for their families and communities. Individuals that demonstrate a commitment to promoting the inclusive majority are eligible for nomination for the award, so long as they have not received it within the last five years. C-suite executives that have spearheaded initiatives and all levels of management are invited to participate. CEO, CDO, COO, VP HR, Director, Manager, etc. For purposes of the award selection process, inclusion initiatives are defined as organizational programs, activities and efforts designed to promote and support differences in people and society, that may include race and ethnic origin; gender, physical abilities, religious beliefs, age, education, sexual orientation and/or other perceived differences. In order to participate, the nomination form must be completed and submitted by January 31, 2019. Also please attach any hi-res pictures of the nominee if you have one.